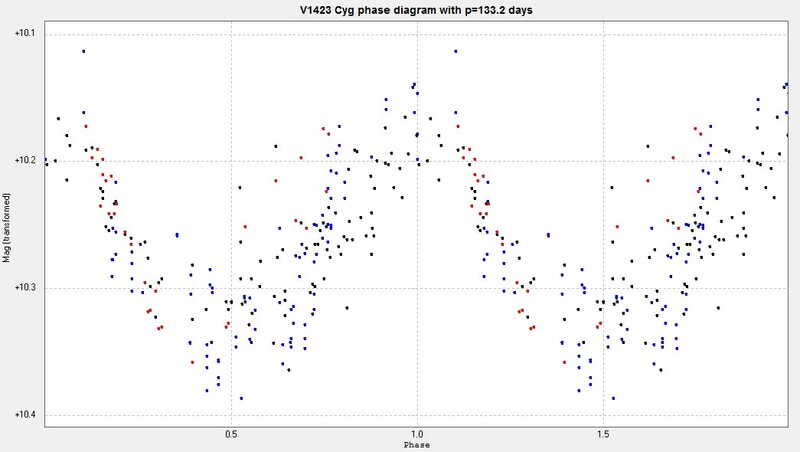 Confirmation of variability and first light curve, in collaboration with Josef Kalášek. From unfiltered images taken by the Bradford Robotic Telescope Cluster Camera. 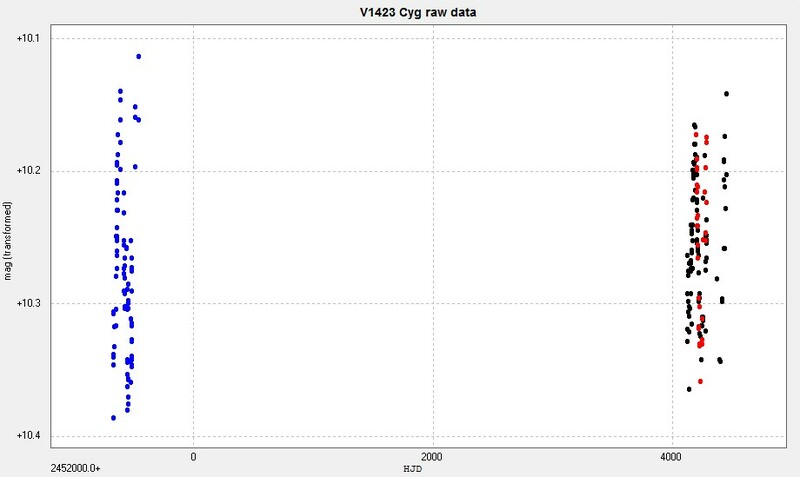 ​A period of 133.2 days is apparent in this semi-regular variable. Further information can be found in the AAVSO VSX.